For two weeks every summer, Summer Sublets invites professional artists from all disciplines to occupy the Leeds Playhouse. We give over as many rooms as we can to artists who need rehearsal space, desk space, writing space, singing space, dancing space, recording space or breathing space. These rooms are rough and ready, varied in size and spread all over the enormous Playhouse building – from cloakrooms to meeting rooms and rehearsal spaces to dressing rooms. We want artists who are developing new ideas of all descriptions to fill the building with noise, activity and conversation. We don’t provide any financial or technical support for Summer Sublets, but the Playhouse’s Artistic Team will be on hand to offer producing and dramaturgical advice if needed. We also organise informal get-togethers over the course of the two weeks, so that all the artists in the building can meet up in the evening, start a conversation about what they’re up to and extend their creative community for the future. 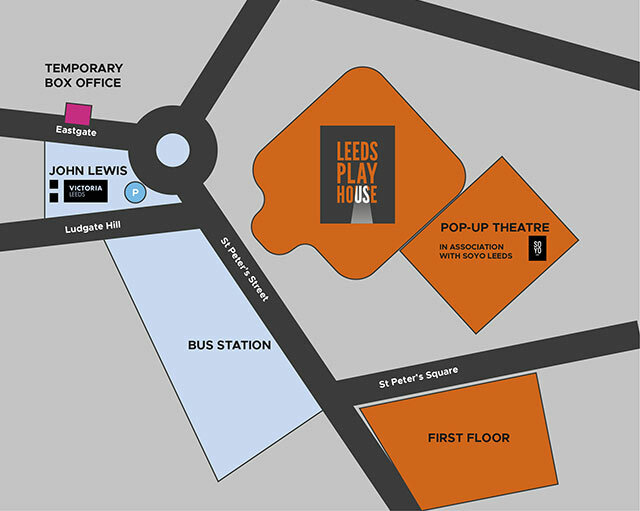 A residency in a space suitable to your creative practice, here at the Leeds Playhouse. A residency of between three and ten days in length. Producing, administrative and dramaturgical support when available. We invite artists to talk about what they’ve been up to at a very informal sharing at the end of Summer Sublets. The sharing will be attended by the other sublettors as well as by members of Playhouse staff. Summer Sublets is open to everyone, but we will prioritise artists who live or work in Yorkshire. We invite artists to explore specific projects during Summer Sublets. This could be an idea that you’ve always wanted a bit of headspace to focus on, or a new project that’s in its early stages of development. We are not currently accepting applications for Summer Sublets. If you’d like us to get in touch when Summer Sublets 2018 is announced, join our Furnace Social Club.